We are so excited to welcome Foria Wellness as a vendor for this year's festival and we want to get you acquainted with this epic team & beautiful line of products. What is the story of how Foria came to be? We've long been fascinated with the close relationship of humanity and medicinal plants, but our passion really grew during the research & development for Foria Pleasure. Pleasure, our premier medical cannabis product, was inspired by humanity's 5,000-year relationship with cannabis sativa, and the long history of women using herbal salves for sensual pleasure and relief from discomfort. We followed nature's design, and the response was sensational, our patients experienced enhanced pleasure & sexual renewal — and many reported life-altering relief from severe pelvic discomfort (caused by a variety of different conditions). This feedback inspired us to develop CBD-rich products like Foria Relief (the first-of-its-kind menstrual-relief suppository) and Foria Explore (a rectal suppository, formulated to enhance relaxation and ease). 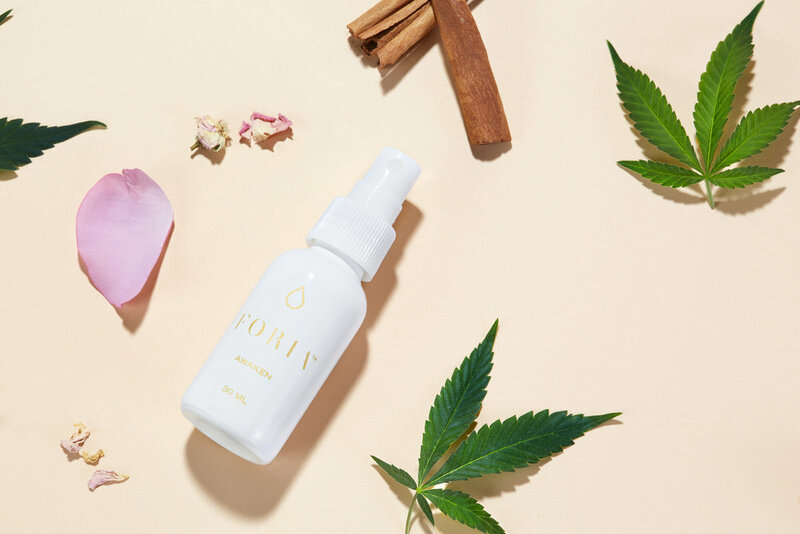 While these formulas have proven to be remarkably effective, the availability of Foria products has been limited to individuals in the few states with medical or recreational cannabis rights, until recently. In the last 2 years we have developed a line of hemp based CBD wellness products for a wide range of application that is available worldwide including Foria Awaken, Foria Basics Tonic, and Foria Basics Suppositories. These products bring the medicinal benefits of CBD right to the place that needs them. They are targeted, effective, and support a range of systems within the body. Beauty is an essential part of being alive. It is the fabric of everything in the natural world, and it is a gift we can give each other not just in aesthetic beauty but by living life in a beautiful way. Contributing to more goodness, more thoughtfulness, more care, and more awareness in all we do. Wake up, cuddle my kids, smell the dew on the morning air, savor the warmth of a shower and a hot cup of tea, and try to remember to be grateful for everything in life. The whole team at Foria is very excited about our growing line of hemp based CBD wellness products. We recently launched out Basics Tonic which is an oral daily CBD tincture, and our Basics Suppositories for menstrual pain and other kinds of pelvic pain. We are working on expanding this line in 2019 and will have a range of new products to support the whole system - including products for sexual wellness and whole body health.